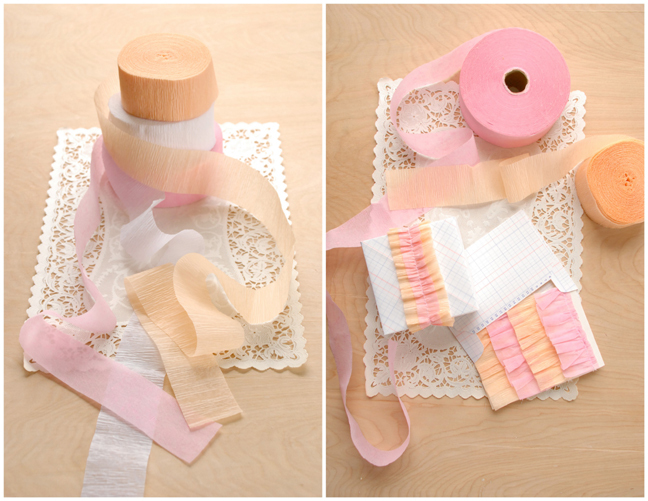 For my ruffle post I am showing you how to ruffle crepe paper streamers. 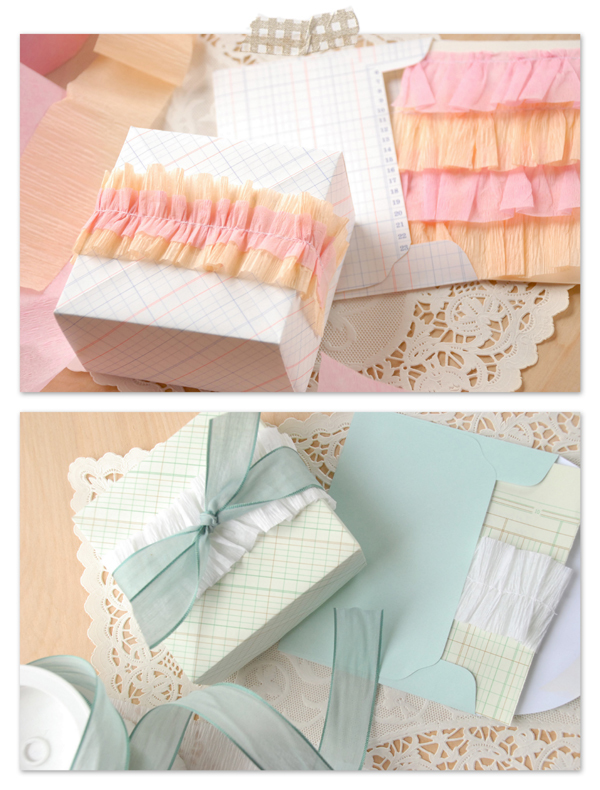 I am using my ruffles to decorate origami boxes, but you can do anything you want with yours! The possibilities are endless! 1. The first thing you need to do is sew a straight stitch down the middle (or side depending on what kind of ruffle you want). 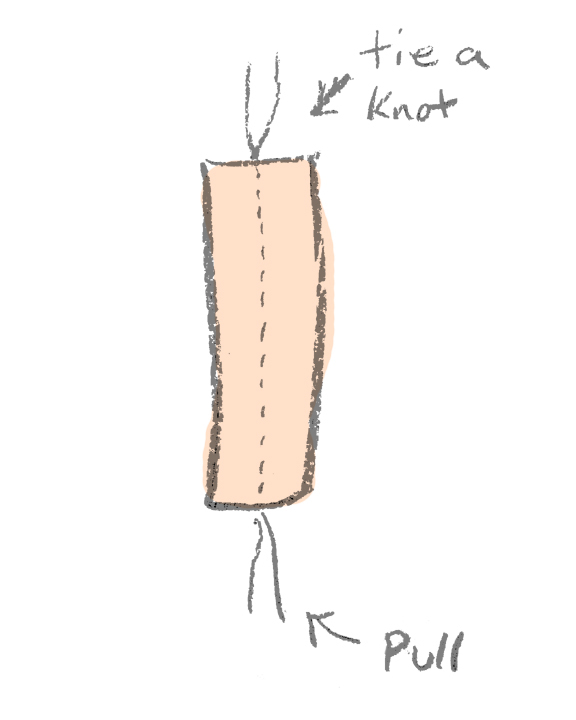 If you want two layers sew through two streamers at the same time. In making ruffles of any kind you Do NOT back stitch, the threads need to be loose and pull-able. 2. 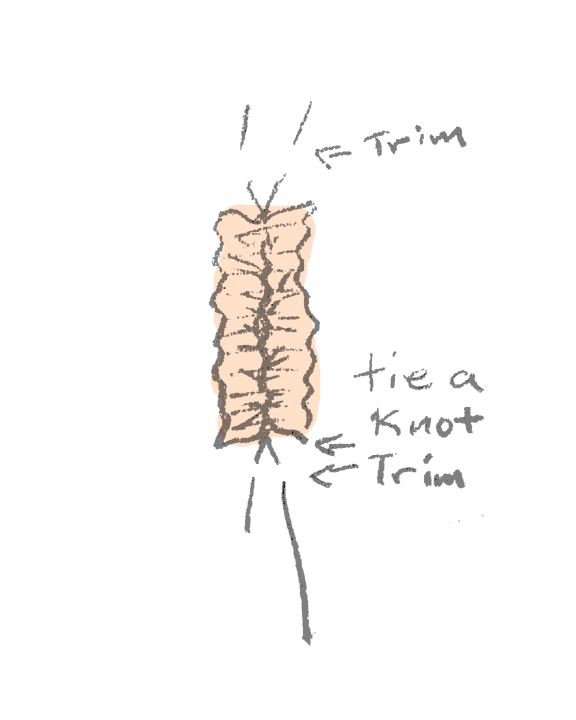 Next, tie a knot in the threads at one end. 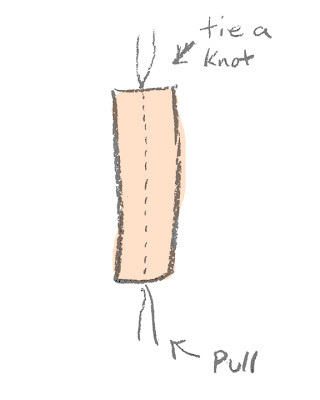 This enables you to pull freely without the worry of pulling the thread completely out. (Something I did so many times it's not even funny, thus the creation of this step). 4. Once you have the ruffle to the desired fullness, tie a knot at the other end (the end with no knot) and trim the excess threads. 5. (optional) If you want to you can sew on top of your ruffle after you have gathered it to keep it from sliding around on the thread. (I was impatient and ready to move on, so I opted out on this step for some of my ruffles). Now is the fun part where you get to figure out what to do with your ruffles! :) I had been itching to make origami boxes again so I did. :) While at the thrift store a while back, I found a huge old ledger book full of ledger paper, I tried using it for origami and I am smitten! It is just the right weight and looks so pretty all folded up! :) I used the ruffles to decorate the boxes and since ruffles are so textured you really don't need anything else on the package. I was having so much fun so I did two color schemes; sherbet (above), and blues (below). I was going crazy making ruffles so I sewed some to card-stock and made a matching card. I also made the envelope out of the ledger paper by tracing another envelope. 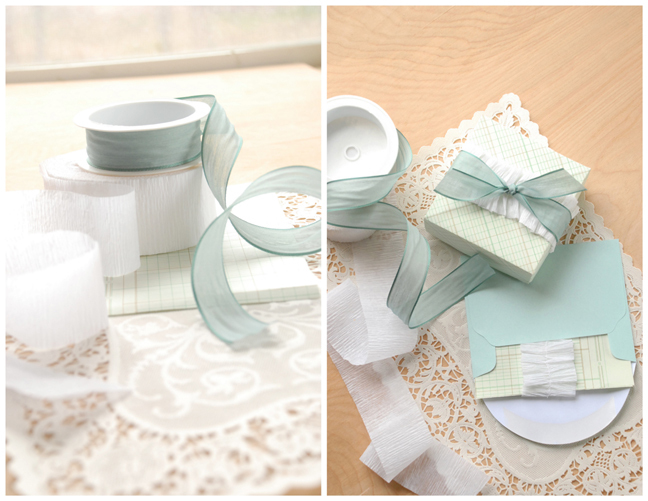 For this package I added a pretty blue ribbon on top of the white ruffle to give it an extra pop. I also used ledger paper to make a simple ruffled card. So pretty! 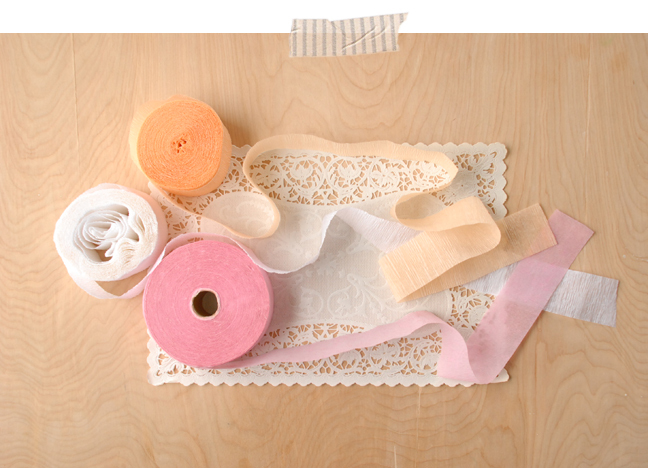 Who knew crepe paper could look so good? Well I guess you did :) Thanks for sharing. This is so gorgeous Lorajean! 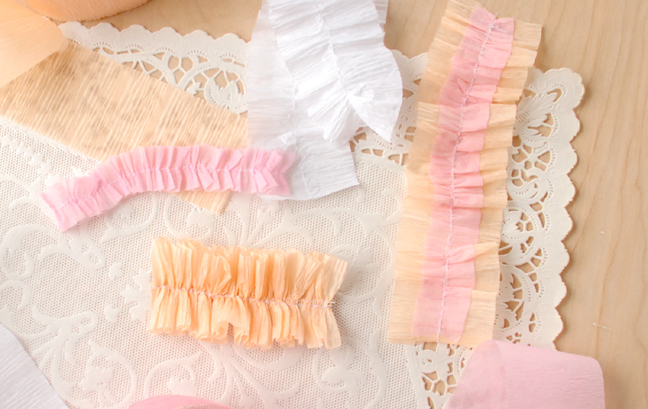 I am so excited to make some paper ruffles! I am in love with this idea! Thanks so much for sharing! What a beautiful touch!!! So adorable. I have a drawer full of streamers just destined to be turned in to ruffles! i love this! thanks for the tutorial! 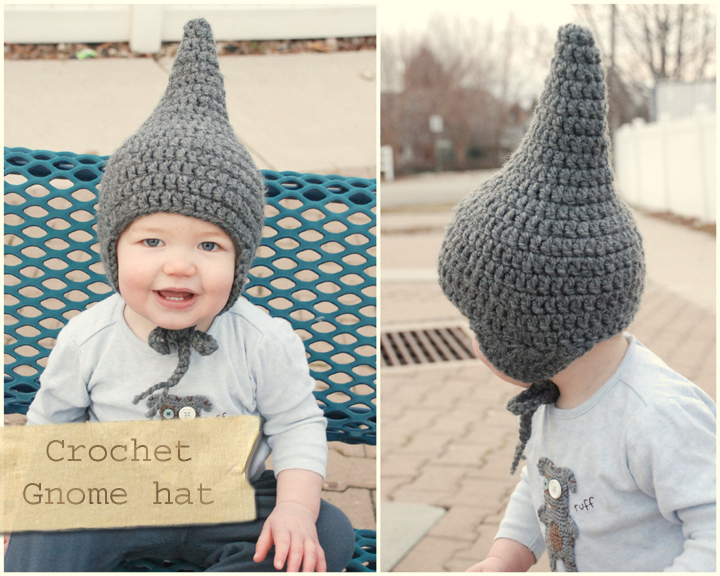 Perfect for baby girl's birthday party next month. Thank you! Oh my gosh, I LOVE it. Who knew??? Thanks for sharing! This such a genius idea! I need to get my hands on some crepe paper! Party but never thought of using them as gift wrapping! Crepe paper...seriously. They are beautiful. 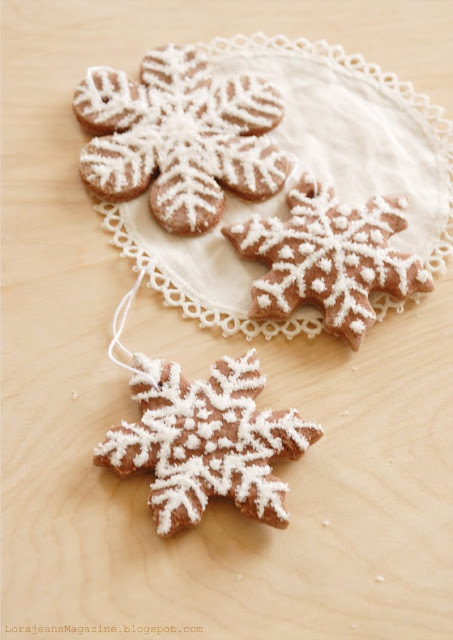 What a great way to dress up a gift or card. Can't wait to try it. You are too much awesome for me. Love you girly. Oh man. Beautiful job as always - both the execution and the styling! Love this! Enter your tutorial into our Party Tutorial Contest (http://www.purejoyeventsblog.com/2011/06/party-tutorial-contest-2.html) for a chance to win some fabulous prizes totaling over $200. BTW, I'm a new FB fan. Please let me know if you're ever interested in publishing your tutorials/patterns with FaveCrafts! That's sooooo lovely! I really need to do more DIY projects! I will keep an eye out for your blog updates!